One of the interesting things about dealing with cancer naturally as opposed to conventionally is the fact that there are myriad ways to go about doing it. Physiologically speaking, one treatment might work better for one person, while another fares better for someone else − and the type of cancer involved also makes a huge difference. But the one element that nearly all natural treatments seem to have in common is diet, which is why it’s important to learn which foods exacerbate cancer and which foods help keep it at bay. Throughout my journeys, I’ve uncovered many exotic foods from around the world (including right here in the U.S.), that science has shown possess powerful anti-cancer properties. Many of these foods are fruits that, in my opinion, everyone should be eating on a regular basis as part of a holistic, cancer-preventative lifestyle. And among these, a select few cream-of-the-crop contenders stand out as being the world’s most viable for preventing and treating cancer. This tropical, spiny green “superfruit” is a prized species of the Annona plant genus. It boasts a dense array of phytonutrients and antioxidants that studies show are highly effective at destroying cancer cells and warding off chronic disease. Soursop is rich in B vitamins, vitamin C, calcium, magnesium, phosphorus, and iron. Annona muricata is known to help prevent infections, minimize inflammation, protect eyesight, and quell digestive upset, among many other beneficial uses in maintaining health. Where soursop really shines, though, is in the cancer department. Peer-reviewed science suggests that the flesh of this Central and South American staple fruit helps suppress oncogenes. These, due to their expression in both cell and animal models of cancer, are commonly referred to as “cancer-causing genes.” A 2011 study published in the journal Nutrition and Cancer found that an oncogene known as epidermal growth factor receptor, or EGFR, that’s commonly over-expressed in breast cancer is an ideal target for treatment with soursop. Other studies have similarly identified anti-cancer potential in soursop seeds, which contain various compounds that are selectively cytotoxic. This means they target cancerous and other malignant cells for destruction while leaving healthy cells unscathed. Research published in the Journal of Natural Products found that one of these compounds, known as “Compound 1,” is selectively cytotoxic to colon adenocarcinoma cells (HT-29), and with a potency up to 10,000 times greater than the chemotherapy drug adriamycin (doxorubicin). Soursop is likewise rich in another class of highly potent chemotherapeutic compounds known as acetogenins. Researchers from the Tepic Institute of Technology in Mexico have procured evidence suggesting that these substances are capable of encapsulating and destroying cancer tumors. This helps back related research showing that soursop is effective at overcoming cancer cells of the prostate, breast, and liver. One of the most highly regarded berries in Asia, goji berry has been a staple of Traditional Chinese Medicine (TCM) for thousands of years. It ranks among the top 120 medicinal herbs in the world, and research shows that it’s helpful in providing strength and extending lifespan. Goji berry acts upon both the liver and kidney channels to provide nourishment and detoxification. Its dense lineup of polysaccharides and glycoconjugates show unique antioxidant, immunomodulatory, and antitumoral properties. Known scientifically as Lycium barbarum, goji berry has been extensively researched with regards to cancer, where it’s shown high immunoactivity. Human trials involving the use of Lycium barbarum polysaccharide, or LBP, as a cancer treatment have led to positive outcomes in tumor regression. Administration of polysaccharide protein complexes derived from goji berry have shown benefits in stopping the growth and spread of cancer cells. The Nutritional Oncology Research Institute (NORI) has developed a unique approach to treating cancer that involves consuming a methionine-restricted, selenium-rich diet that essentially starves cancer cells of the nutrients they need to live. This was done while also bombarding the cancer cells with so much oxidative stress that they commit suicide through apoptosis. The NORI Protocol involves eating lots of fruit while avoiding most other foods, as well as consuming non-toxic, chemotherapeutic substances at various intervals. And one of the fruits the protocol focuses on most is gardenia fruit, or zhi zi. This fruit contains abundant amounts of a compound known as genipin that’s been scientifically shown to trigger apoptosis (programmed cell death) in cancer cells by generating excess reactive oxygen species, or ROS. Consumption of gardenia fruit directly inhibits a mitochondrial protein known as UCP2. This protein acts as a protector of cancer cells, shielding them from oxidative stress by inhibiting mitochondrial oxidative phosphorylation. Put simply, gardenia fruit is potently anti-tumoral while exhibiting selective toxicity only against malignant cells. The world’s richest source of natural vitamin C, camu camu (Myrciaria dubia) is a powerhouse of anti-aging and anti-cancer nutrition. A wild feature that grows all along the banks of the Amazon River in South America, camu camu is a potent antioxidant and anti-inflammatory “superfood.” Studies have shown is effective in combating a host of chronic illnesses, including cancer. Inflammation-associated conditions ranging from inflammatory bowel disease and type-2 diabetes to Alzheimer’s disease and chronic obstructive pulmonary disease (COPD) have all been studied in association with camu camu treatment. And this has been done with great success. Many types of cancer have also responded positively to supplementation with camu camu, which is easily purchased in either capsule or powder form. Since it’s an anti-mutagenic fruit, camu camu prevents the types of genetic mutations in the body that lead to cancer tumors. Camu camu is also hepatoprotective, meaning it protects the liver against the potentially cancer-causing effects of chronic toxicity and toxin overload. Perhaps the most well-known of the fruits I’ve listed here are the basic citrus varieties like orange, lemon, and lime. All of these are powerfully anti-cancer in their own respective rites. Another rich source of vitamin C, citrus fruit is inherently anti-cancer because it targets damaging free radicals. Plus it boosts immune function, all while helping the body to naturally overcome the damaging effects of carcinogenic exposure. Naturally high in flavonoids, nobiletin, and of course vitamin C, citrus fruit is powerfully anti-angiogenic. This means it inhibits the growth of new blood vessels that serve as the energy and nutrition delivery mechanisms for cancer tumors. People who consume high amounts of citrus fruit on a regular basis, studies show, have a reduced risk of developing lung cancer, colon cancer, and many other types of cancer. Citrus fruit is also amazingly chemoprotective and anti-metastatic, helping healthy cells to flourish while selectively targeting for elimination all rogue cells that contribute to cancer. The widely regarded Nurses Health Study (NHS) found that women in particular who consume multiple servings of citrus fruit every day are much less likely to develop colorectal adenomas, a type of benign polyp that in some cases serves as a precursor for the later development of colorectal cancer. 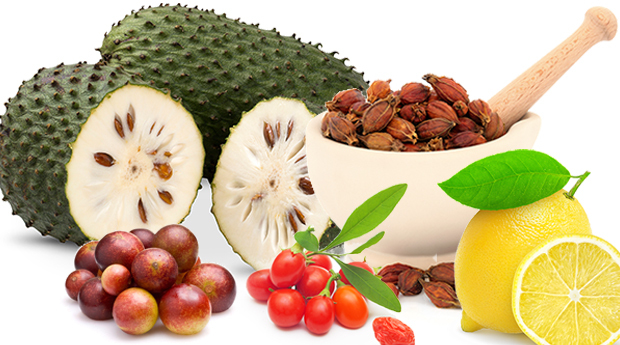 Have you tried any of these top cancer-fighting healthy fruits − especially the more exotic kinds? If so, please share in the Comments section below where you get them and how you use them. One element that nearly all natural treatments seem to have in common is diet, which is why it’s important to learn which foods exacerbate cancer and which foods help keep it at bay. 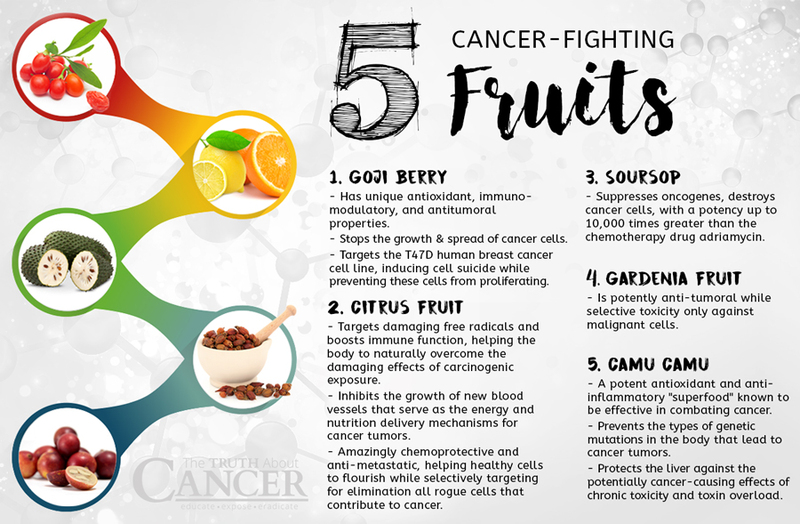 Many of the cancer-fighting foods are fruits that should be eaten on a regular basis as part of a holistic, cancer-preventative lifestyle. Herschel, can you please share your soup recipe. What was the base? Just water? Did you leave the vegetable in chunks or puree? Camu Camu freeze dried powder can be found at a website called Optimally Organic. It would really help if you can say where you can get soursop from in States. I’m currently in San Diego and for the life of me can’t find it anywhere here or in the U.K. Does anyone know ? I love this site but there’s always too little info on where to get stuff from or how to use the stuff mentioned. I was amazed when some one can’t get soursop. Pls come to Ethiopia, satay in Dire dawa town, you can enjoy with this delicious fruit. It’s native to Columbia and Peru…Not too far..
Wow I had breast cancer 3yrs free now. How many times a day did you eat this? There’s something everyone’s not talking about , your body PH level should be at a 7.3/5 to a 7.4 to be at a neutral stage for it to change the course of any anything in our body’s , how do u know your body PH level , buy the test strips and test your first urine in the morning , lots of greens will raise your PH level , that’s your ( blood ) for those who don’t know . No sickness can’t trive nor survive in an alkaline body none at all . So plz start looking up how to raise ur PH level , god bless you all !! That is very true,thanks a lot. Are there supplements available of these fruits ??? Where ? Do these fruits grow on trees ? Can we buy the trees ? is there no care for the animals that are slaughtered to get those fats. what a horror and what cruelty is a hell of a society that lives off killing. thee is no where that says this is ‘god given’, it is the opposite. most of them are fed rubbish anyway. im wondering whether the advice is to promote animal farming, with so many people Vegan animal produce consumption is down 25%. jesus preached love, and ‘thou shalt not kill’ is clear. I live in the UK and have lung cancer which I was told they can not cure or remove it. After reading your article about Soursop Fruit (Graviola), I would appreciate if you could advise where I can buy this fruit. Hi Tajinder, I think other replies have said to try Asian supermarkets (which I am sure you do anyway) I am also in UK and also wondering how I can find these fruits….! going to try this thanks ! Try going to an asian supermarket if you have one in your area. You may find soursop there. The Soursop fruit can be found in areas where there are many Caribbeans or people of south American descent. Soursop grows abundantly in the Caribbean Islands and in south America. If you live in the New York Area, it can be found in many asian fruit stores in Flatbush Brooklyn and Liberty Avenue in Queens. Great info for sure, but the problem is that most of these fruits are not readily available…..in fact, I have never even heard of soursop or gardenia fruit before….!! Vicki Jones, your story is the first I’ve ever seen in regards to someone healing themselves of pancreatic cancer. I’ve read a lot of healing stories about other cancers being treated. That’s awesome and amazing that you were able to do that. I’ve known pancreatic cancer could be healed naturally just as any other cancer but like I said yours is the first I’ve heard so far. 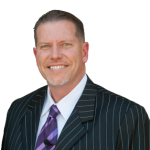 In conventional medicine, pancreatic cancer is usually a death sentence even with all of their chemo, radiation, and surgery (i.e. Whipple) and patients usually don’t live that long and if it goes into remission it comes back quickly and the patient deteriorates as with my friend’s brother. He wasn’t open to natural healing. Very sad. Anyways, congratulations and hope your health continues to improve. Forgot to mention the Oil of Oregano too. Mother takes 4 pills per day. Work up your dosage, up to 1 or two dropperfuls a day. The more you take, the more it will disinfect your body. I have been diagonised to have rectal cancer please any anyone who has got cured help me. With what fruits/ herbs you used and how you used them. Mother has cancer. So the following are supplements I give her. I do not know about this Soursop fruit. I do know about the rest. Do not eat meat. Have a plant based veg diet. No sugar or white flour. SISU, Ester Aces – a bottled supplement pill of antioxidants. Start with one a day, then do two a day. Chlorella., Powder or Pill, Cracked Cell Wall, Organic. Powder is most ecomonical, and probably better absorption. Start with 1 tsp. a day, work up to 1 tsp 3 times a day. then maybe try half a tablespoon 3 times a day. Goji Berries – Work up to 1/2 cup a day. CO Q 10 – start with 100 mg daily, work up and up, Mother takes 900 – 1200 mg daily. I have fibromyalgia and of the take up to 1800 mg daily. Tofu, and nuts, no meat. Only whole grains, get very healthy bread if you use it. A good multi-vitamin and mineral pill. Magnesium and Calcuim with Vitamin K. About an even ratio of 250 mg each. Get into healthy smoothies, these are nutrient dense, and taste great! Get a vegetarian mix with proteins and greens, you can add one dose of your daily chlorella to your smoothie. You can work up to adding 1 TBSP of chlorella to your smoothie. These doses may seem high, but we are not young fit people. 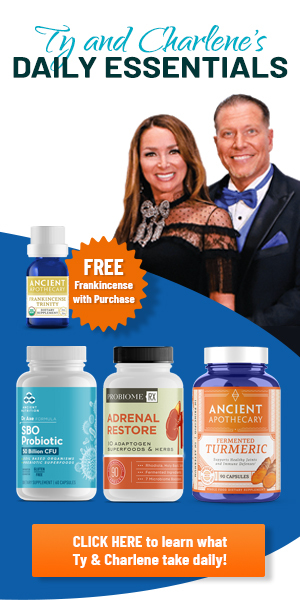 We are older, have awful diseases, and must use high dosages of anti-oxidants to combat cancer. Chlorella and CO Q 10, have both been studied and proven to shrink tumours and prevent and stop metastasis. Do not smoke tobacco or drink alcohol. Purify your body. Also get Vitamin D with your Cal/Mag/Vit K supplement. Also Tumeric, comes in supplements too. Also, essential fatty acids, such as Flax oil or Udo’s Ultimate Essential Fatty acid Blend Oil. Also other berries besides Goji. Goji is best though. Blue, black, strawberries, and raspberries are also great. Also you can add berries, leafy greens, oils, etc. to your smoothies for good intake. We often use frozen blueberries. Sorry I didn’t put this all in one reply! Oil of Oregano. Mother takes 4 pills per day. Try liquid oil, by the dropper. Start with a few drops on back of tongue, work up to 1 or 2 dropperfuls a day. Get STrongest, organic Oil of /Oregano. Take liquid rather than pills if you can tolerate it. The more you take, the more it will disinfect your body. Graviola (Soursop) fruit is miracle for cancer and also take 1 glass of white pumpkin juice. Did somebody try one of those fruits for colon cancer ? How it works ? I,m in Chicago , where can i get those fruits?